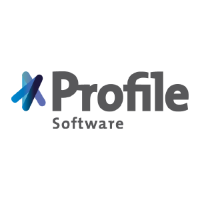 Abu Dhabi National Insurance Company (ADNIC) has implemented Profile Software’s IMSplus Insurance Investment Management solution. ADNIC uses IMSplus to monitor sector and asset class exposures of its invested assets. Profile says the system allows investment managers to analyse the company’s invested assets (cash, fixed term deposits, equities, bonds, funds, private equity and real estate) and performance. IMSplus is a well-established solution in the investment management space with around 30 users. The majority of them are based in Greece (the home market of Profile) and neighbouring Cyprus, but a handful are further afield – in the Middle East and the UK. In the Middle East, users include Wasatah Capital and Albilad Capital in Saudi Arabia. In the UK IMSplus is installed at Rasmala, formerly European Islamic Investment Bank (EIIB). Last year, Profile signed its first IMSplus client in Central America, Costa Rica-based BAC San Jose Puesto de Bolsa. For automating operations in France, the UK and Luxembourg.